Full hook-up RV sites (with FREE Wi-Fi & Cable TV), comfortable heated cabins, grassy tent areas, and even teepees, make Ponderosa Campground the perfect home base for exploring Cody. Other amenities that make the Ponderosa stand out for its guests include live entertainment, an extensive gift shop, well-stocked convenience store, the Cowboy Cappuccino Bar, proximity to shops & restaurants, a video arcade, great playground, billiard table and friendly, helpful staff. 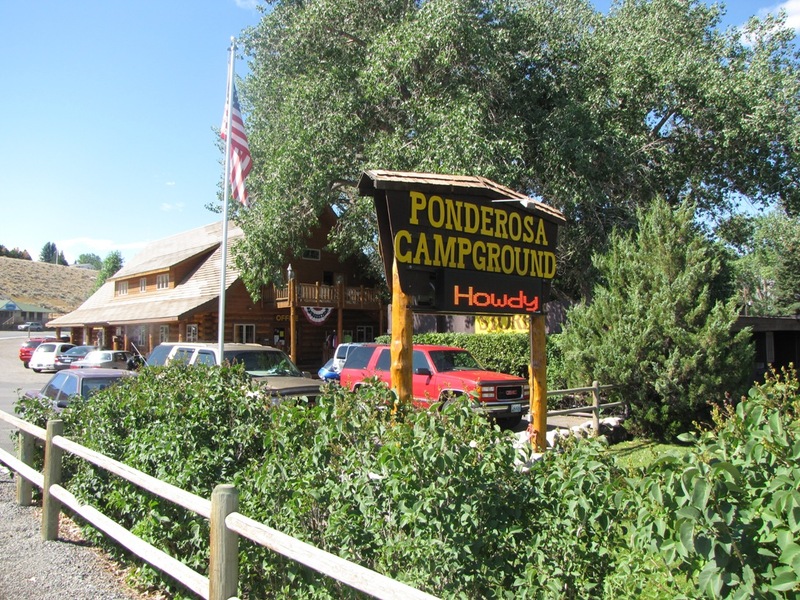 The Ponderosa is also a stop for the rodeo shuttle bus and a pick up location for the Cody Trolley Tours and river rafting. Groups and family reunions are welcome. Open April 15-October 15. Pets welcome.